Hopelessly in love? Lock it up! Love is in the air, or on the bridge. Puente de Isabel II in Seville. We were walking across the San Telmo Bridge over the Guadalquivir River in Seville, Spain when I pointed out to Julie the padlocks that festooned the railings like bronze jewels. I told her that they represented the love between two people; the lovers closed the lock and threw the key into the river. 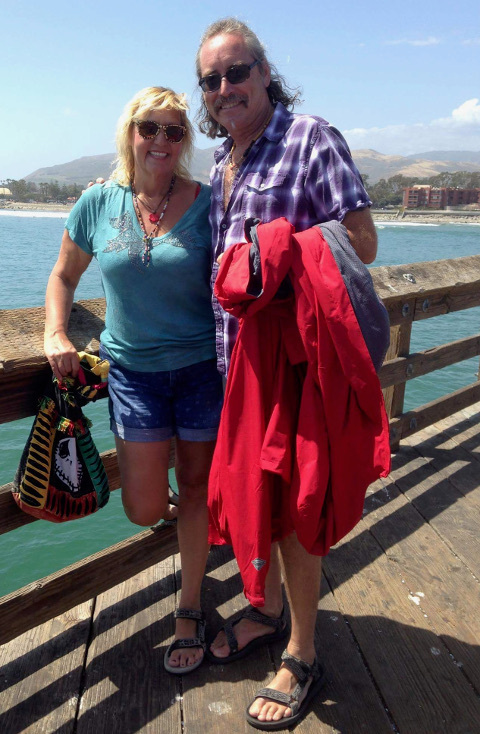 Julie has always been up on romantic traditions, so the fact that I knew this one and she didn’t stopped us both in our tracks. I don’t know where I learned about it, but I did some Googling later and discovered that locking your love to a bridge may actually be a recent practice. According to blogger Abigail King, who runs Inside the Travel Lab, it’s not clear when or where this tradition started but it seemed to get a boost from the Italian film “Ho Voglia di Te” (“I Want You”), which was adapted by Federico Moccia from his novel of the same name. I haven’t seen it or read the book, but apparently Moccia made up the tradition for his protagonist to win the love of a girl by locking a chain around a lamppost on Rome’s Ponte Milvio. 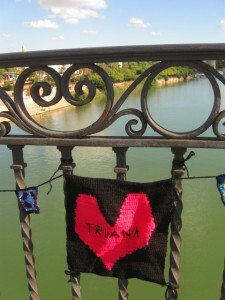 Padlocked love on the San Telmo Bridge in Seville. 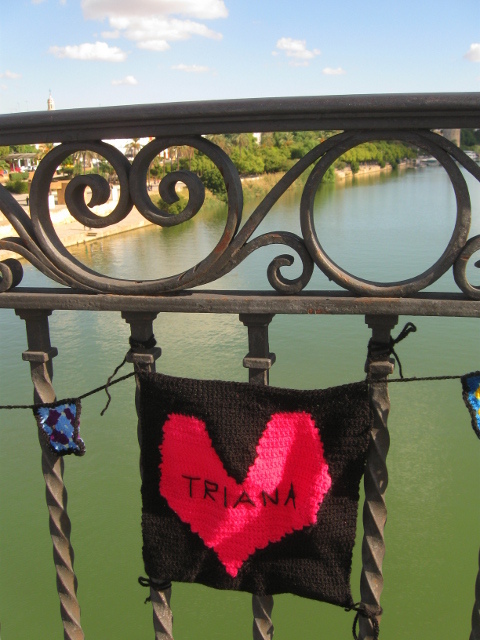 Since then, lovers have shown up in droves to leave the padlocks of pledges on bridges across Europe. Moccia even has a website showing locations of padlocked bridges. When we returned, we crossed the river over Puente de Isabel II which had an even more thorough covering of locks and art left by happy couples. 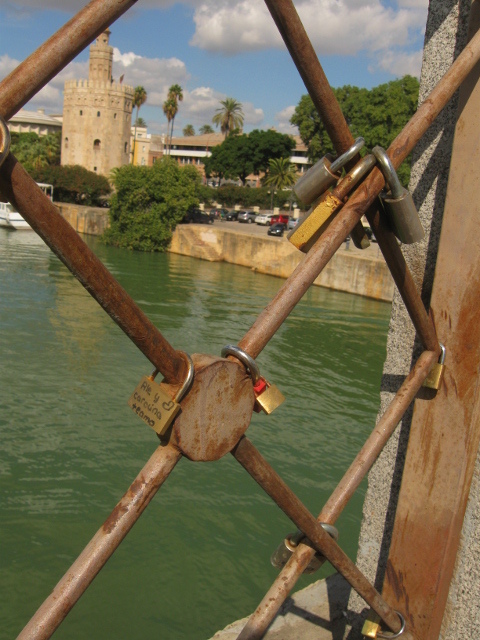 According to King, the local authorities are constantly removing the locks for fear that the weight of all of that love may bring down the bridge. Bunch of fuddy duddies if you ask me. I agree – whenever I see them they cheer me up! Ever since I spotted my first one in Seville, I’ve found them all over the place – Paris, Rome, even on a country walk in China. Glad the tradition makes you smile! They do seem to be global. Just saw a couple locked to a bridge near our house in Tucson.